Winter is just around the corner. The air is already getting cooler and the weather pleasant. For countries like Pakistan where temperatures go as high as 48 degrees in summers, winter season is a blessing. Fall, with all its perks is however, not entirely bliss. It brings with itself a lot of health problems. The notion that one is more likely to get sick in winter is no longer a myth. According to a study at Yale University, the immune systems are lowered in winters. The lowered immune system is one of the main causes of more people getting sick in winters. 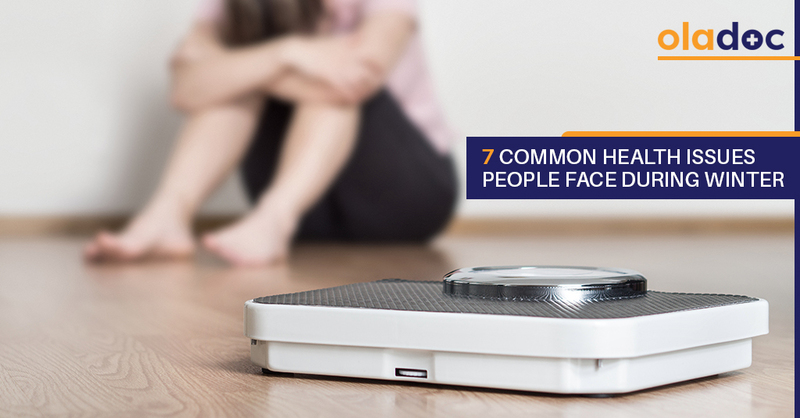 Here are seven most commonly occurring health issues in winter and tips on how to handle them. Skin problems are quite common in winters. In winter, the humidity in the air drops. Due to low moisture content in the surroundings, the skin starts to lose water which results in dry skin. In extreme cases, the skin may even present cracking because of dryness. The only way to handle dry skin is to moisturize as much as possible using a lotion or a moisturizing soap. Oral hydration is also crucial to maintain a moist skin. Another skin problem of winters is cold sores. Cold sores are caused by a virus known as HSV. There is no actual cure but hot baths and reduced stress levels are known to help. The most common problem encountered in winters is influenza or flu. In the early months of 2018, Pakistan faced a deadly outbreak of influenza. According to a WHO report, out of all the influenza specimens tested, Pakistan was among the six countries with highest positivity rate for the virus. Flu is a viral disease. The condition usually gets better with rest and time on its own but sometimes it can also be fatal. In cases, where symptoms do not go away on their own in a few days, it is important to see an ENT specialist. The cold can trigger many respiratory problems including asthma. The dry air in winters can put pressure on lungs which can not only trigger attacks in asthmatic patients but also in non-sufferers. The best way to avoid a cold induced asthma attack is to reduce strenuous outdoor activity. Pollens during the winter can also make matters worse. A face mask can considerably decrease the possibility of an asthmatic episode. Winter depression is the sadness caused by the cold weather. Feeling lethargic and unmotivated all the time are the main symptoms of winter depression. There is no known cause of it, but reduced exposure to sunlight is speculated to be the main culprit. Exercising regularly during winters can help balance hormones such as serotonin and melatonin which are known to help with depression. Lack of physical activity during winters slows the metabolism down resulting in weight gain. The holiday season is also a part of winter. People tend to eat more during holidays thus making winter the season of weight gain. The best way to avoid unhealthy weight gain in winters is to exercise regularly and be mindful of one’s eating patterns. A virus known as Noro-virus can become active in winters. This virus can cause diarrhea like symptoms such as stomach aches and vomiting. In extreme cases, the condition may worsen resulting in severe dehydration. A good way to handle this situation is to drink plenty of fluids and if required get intra-venous hydration. Aching joints is a common condition faced during the winters. For Arthritis patients, winter can be a time of struggle. Although it is not clear what increases joint pain in winter, it has been speculated that immobility during this season might be the cause. Wearing warm clothes and maintaining mobility during the cold is the key to alleviate joint pain. If you are facing any of the above problems, you should visit a specialist as soon as possible. You can also visit our website at oladoc.com, read up on these conditions and look for ENT specialists in Karachi, Lahore and Islamabad. You can also call our helpline at 042-3890-0939 to get directed to the specialists that are suitable for your specific concerns.